The Grand Priory of Sicily conducted a beautiful investiture in Enna, Sicily, in the church of Montesalvo overlooking the precise centre of the island depicted by means of an obelisk in Piazza Europa, Enna. 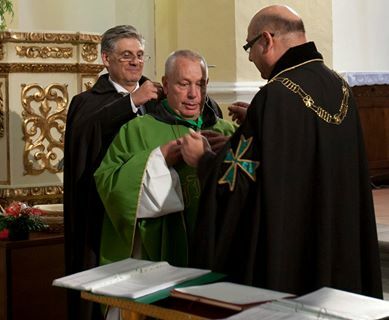 the investiture was held on Sunday 16th June 2013. The religious ceremony was conducted by the Chaplain of the Grand Priory, Franciscan Padre Pietro Roma. 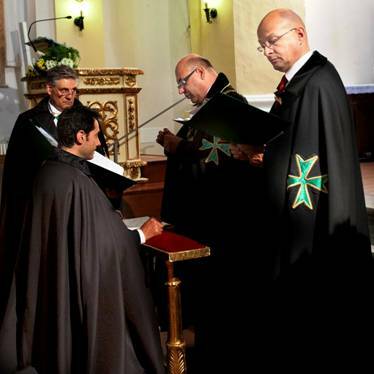 The investiture service was conducted by the delegation from the Supreme Grand Priory headed by the Grand Chancellor of the Order, the Chev. Massimo J. Ellul. A delegation from the neighbouring Grand Priory of Malta was also present and were treated with the best possible camaraderie during the events of the two days leading to the investiture. Three new postulants, one promotion of Officer Sandro Bellomo OLJ and the consecration of the Chancellor of the Grand Priory of Sicily were conducted in the investiture. 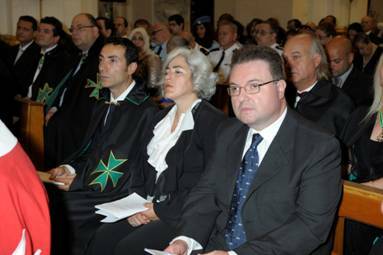 Afterwards, an information session on the various projects being espoused by the Sicilian Grand Priory was conducted. 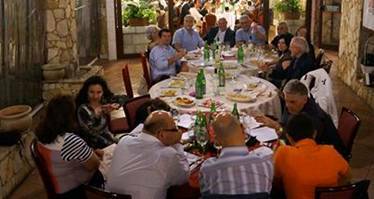 An investiture dinner for the members of the Grand Priory of Sicily was also held in Pergusa after the ceremony.